That one word which can send a chill down the spine of every Indian is “Tax”. The tax season brings with it anxiety in galore. And, we couldn’t agree more. All of us are aware that the cascading effect of taxes earlier added more to the anxiety of the manufacturers. 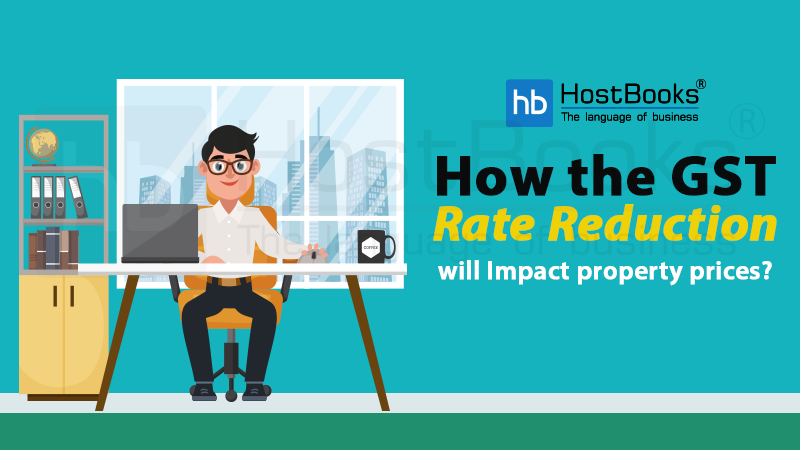 For the customers, it resulted in exorbitantly high prices. Payment of taxes over taxes somewhere rendered the Indian Taxation system ineffective. The need of the hour was a unified tax structure that would do away with the cascading effect. As a consequence, Goods and Services Tax (GST) came into the picture. 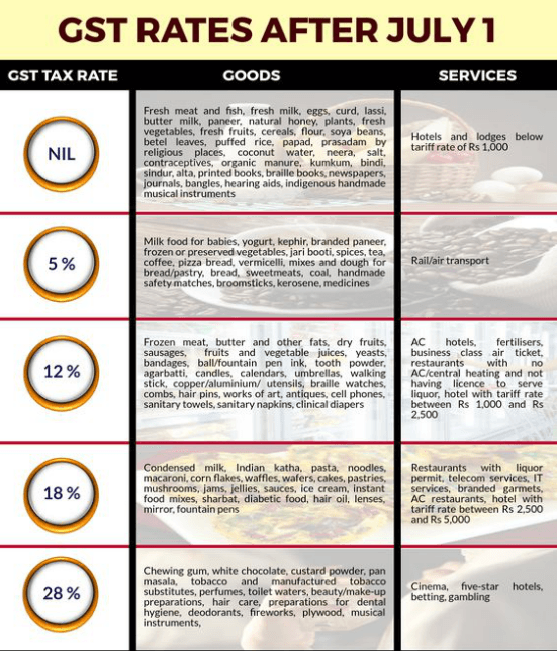 What is exactly Goods and Services Tax? Goods and Services Tax (GST) is an indirect tax that is levied on the goods and services all across the country. It will only be levied only on the value added as against tax levied on each stage separately in pre-GST regime. An illustration will help you understand the concept better. In the example given above, a single tax has been levied on the sale of drinks. The effect of GST can be clearly seen. The amount of tax payable has decreased considerably. 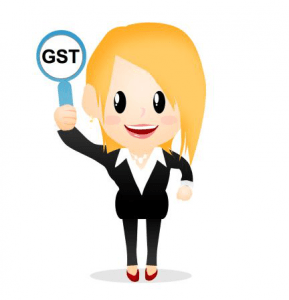 What are the types of GST levied? 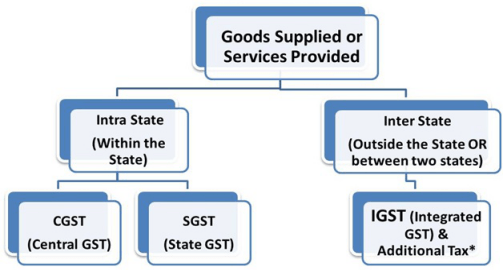 When the transaction of goods and services takes place within the same state (Intra-state), Central (CGST) and State (SGST) GST are applicable. The tax collected is equally shared by the Central and the State Governments. 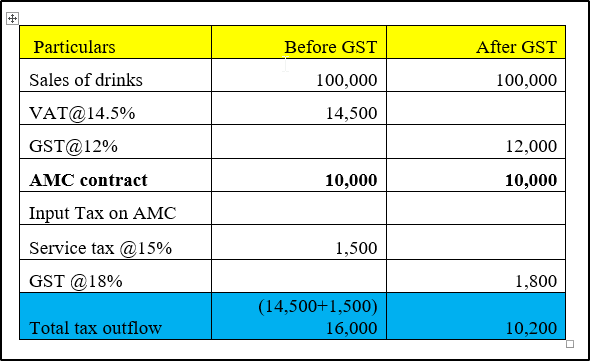 CGST and SGST have replaced taxes like Service Tax, Central Excise Duty, Customs Duty, etc. In this illustration, the tax at each stage is paid after deducting the ITC i.e. Input Tax Credit. ITC is the tax that a manufacturer/seller can claim when he sells the goods or services to the next party in the supply chain. The basic idea behind ITC is the payment of difference between the input and the output taxes as the person has already paid the tax earlier. Hence, ITC eliminates the cascading effect. 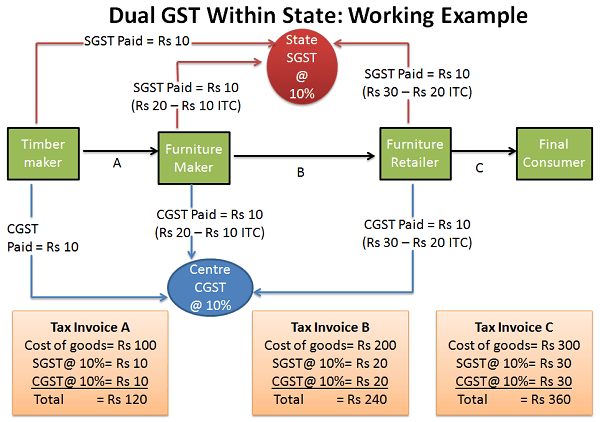 When the transaction of goods and services takes place between two states Integrated Tax (IGST) is applicable. In this case, the tax will be collected by the Central Government and the same will be given to the states as per its discretion. The illustration above shows how the tax is levied when the goods move from one state to another. The tax payer pays IGST after claiming the Input Tax Credit. 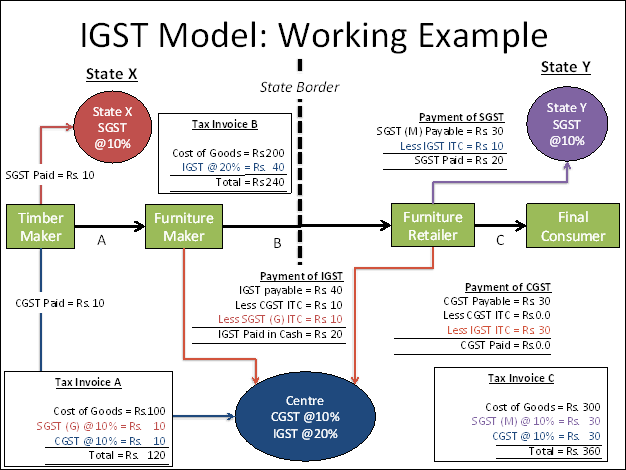 Apart from the IGST, CGST, and SGST there is one more type of tax i.e. Union Territory Goods and Services Tax (UGST). 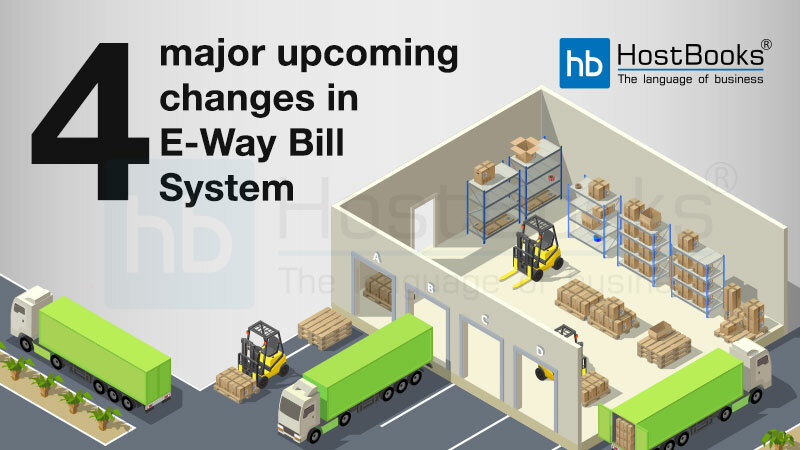 It is levied on the transaction of goods and services that takes place in the union territories (Andaman and Nicobar Islands, Dadra and Nagar Haveli, Chandigarh, Lakshadweep and Daman & Diu). UGST is charged in addition to CGST and SGST. The pre-GST regime witnessed a high rate of tax evasion, corruption and under-reporting of goods. 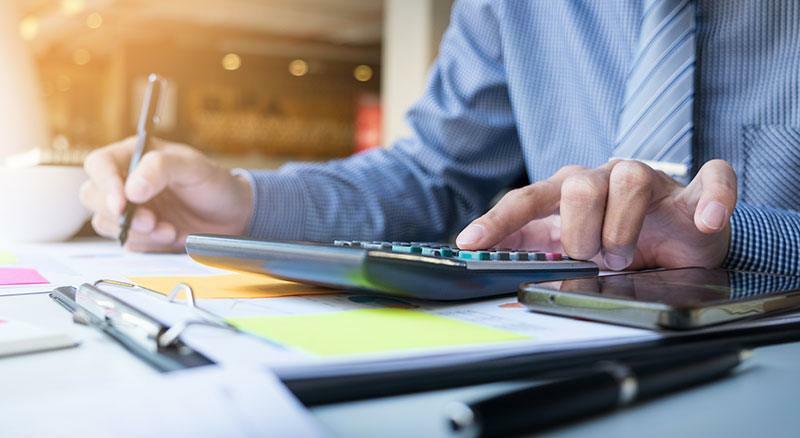 In addition to this, the payment of multiple taxes was a loophole of the indirect taxation system. To curb these practices and to bring about a uniformity in the Indian Taxation System, Government came up with GST. It is the one of the biggest tax reforms and has also eliminated the tax barriers between the Center and the State. Improvement inthe overall investment climate of the country. Introduced in India on 1 July 2017. Introduced asThe Constitution (One Hundred and First Amendment) Act 2017, following the passage of Constitution 122nd Amendment Act Bill. The GST is governed by a GST Council and its Chairman is theFinance Minister of India. 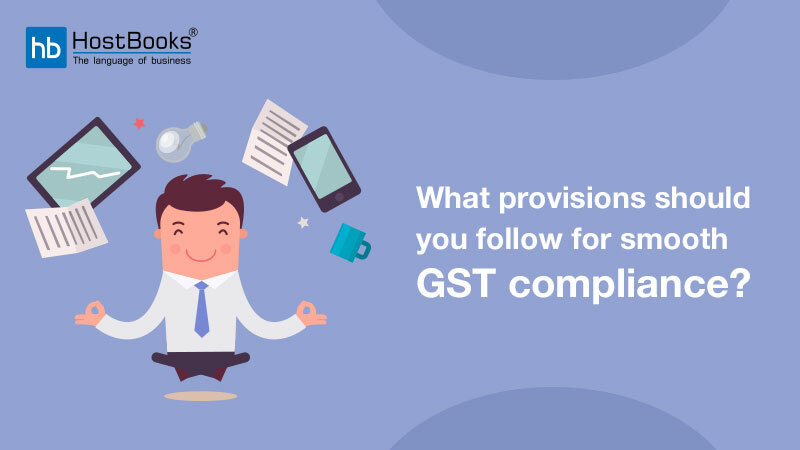 “Goods and Services Tax” Network (GSTN) is a nonprofit organizationproposed to be formed for creating a website / platform for all the concerned parties related to the GST, namely stakeholders, government and taxpayers to collaborate on a single portal. Under GST, goods and services are taxed at the following rates, 0%, 5%, 12% ,18% and 28%. In addition acess of 22% or other rates on top of 28% GST applies on few items like aerated drinks, luxury cars and tobacco products. HSN (Harmonized System of Nomenclature) is an 8-digit code for identifying the applicable rate of GST on different products as per CGST rules. The introduction of Goods and Services Tax is a breakthrough in the Indian Indirect Tax Regime. Not only it has simplified the taxation process but has also checked the malpractices prevailing in the system. With this, we hope that GST will be able to reap all the expected benefits in the long-run too.